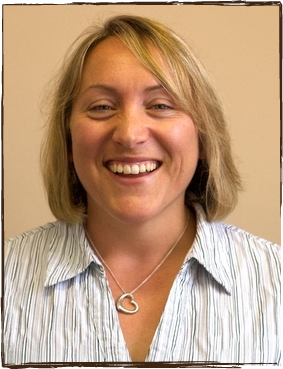 Jayne Larkins is a naturopath with a special interest and experience in children’s health. Jayne studied Naturopathy at the well regarded Nature Care College in Sydney, graduating with an Advanced Diploma of Naturopathy in 1998. She also completed a Bachelor of Health Science through the University of New England and is currently completing a Master of Health Science in Herbal Medicine Jayne set out to practise quality naturopathy however, once she became a parent herself, her studied theories and protocols were regularly challenged. It was through the many sleepless nights, illnesses, fevers and fussy food issues that her three children came up with that gave Jayne a practical understanding of children’s health conditions. This experience also makes her well suited to working alongside other parents as they confront the varied and sometimes complex issues they face as parents. As a naturopath, Jayne approaches her treatment from the perspective that given the right conditions and by removing obstacles, that the body will move towards vital health. She has found that children have a natural vitality and resilience that makes treating them rewarding and interesting. Her treatment protocol focuses on nutrition, ensuring that the fundamental nutrients are being provided as well as identifying any substances that aren’t being tolerated well. This is very individual to each child. As well, good quality herbal medicines, nutritional supplements and homoeopathic remedies, when given for the appropriate condition, at an appropriate dose are astoundingly effective at treating health conditions. Jayne is a registered full member of NHAA (National Herbalists Association Australia, member #154402, www.nhaa.org.au) and ATMS (Australian Traditional Medicine Society, member #21466, www.atms.com.au ) as well as DAN Trained with the MINDD Foundation (www.mindd.org). “Cooper seems to be much happier and healthier. He hasn’t had a cold or runny nose for weeks - something he seemed to have constantly – and is starting to initiate more play with his brother. Thanks for your ongoing help, it’s the most progress we’ve made yet”.